​SOUTHWEST GEORGIA PROJECT FOR COMMUNITY EDUCATION, INC. WAS FOUNDED ON A MISSION TO EDUCATE, ENGAGE, AND EMPOWER COMMUNITIES THROUGH GRASSROOTS ORGANIZING AND TECHNICAL ASSISTANCE BY NOTABLE CIVIL RIGHTS LEADERS, CHARLES AND SHIRLEY SHERROD. CHARLES SHERROD CAME TO ALBANY, GEORGIA IN 1961 AS THE FIRST FIELD SECRETARY FOR THE STUDENT NONVIOLENT COORDINATING COMMITTEE (SNCC), TO ORGANIZE COMMUNITIES AND COUNTER A HIGHLY SEGREGATED, JIM CROW SOUTH. IN 1966 NEWLY ELECTED NATIONAL CHAIRMAN OF SNCC, STOKELY CARMICHAEL, "CARMICHAEL HAD LARGELY LOST FAITH IN THE THEORY OF NONVIOLENT RESISTANCE THAT HE HAD ONCE HELD DEAR. AS CHAIRMAN, HE TURNED THE SNCC IN A SHARPLY RADICAL DIRECTION, MAKING IT CLEAR THAT WHITE MEMBERS WERE NO LONGER WELCOME." 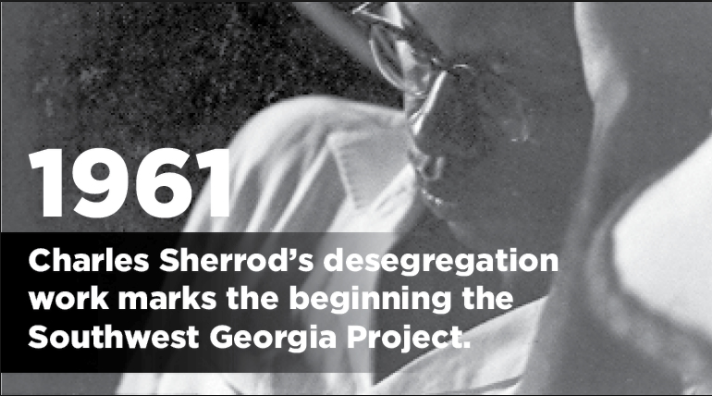 CHARLES SHERROD DID NOT AGREE WITH THE NEW DIRECTION, HE LEFT SNCC AND HIS CONTINUED WORK WAS THROUGH THE SOUTHWEST GEORGIA PROJECT. 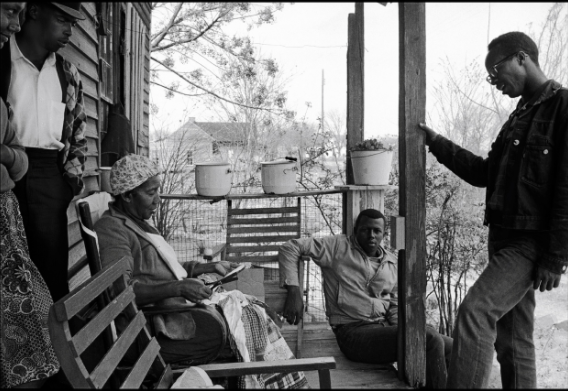 SOUTHWEST GEORGIA PROJECT SUCCESSFULLY ORGANIZED SOUTHWEST GEORGIA TO ADDRESS CHALLENGES OF A HIGHLY SEGREGATED JIM CROW SOUTH (WHAT BECAME KNOWN AS THE ALBANY (CIVIL RIGHTS) MOVEMENT. WE CONTINUE TO WORK TO ADVANCE HUMAN RIGHTS AND SOCIAL JUSTICE IN SOUTHWEST GEORGIA AND BEYOND THROUGH OUR GRASSROOTS ORGANIZING WORK. tODAY, SOUTHWEST gEORGIA PROJECT MAINTAINS ITS MISSION OF EDUCATING, ENGAGING, AND EMPOWERING COMMUNITIES AND USES A VARIETY OF PROGRAMS AND STRATEGIES TO ADVANCE REAL SOCIAL CHANGE IN SOUTHWEST GEORGIA AND BEYOND.